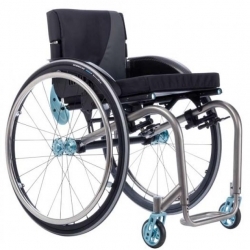 Kuschall K Series Wheelchair For Active Users. 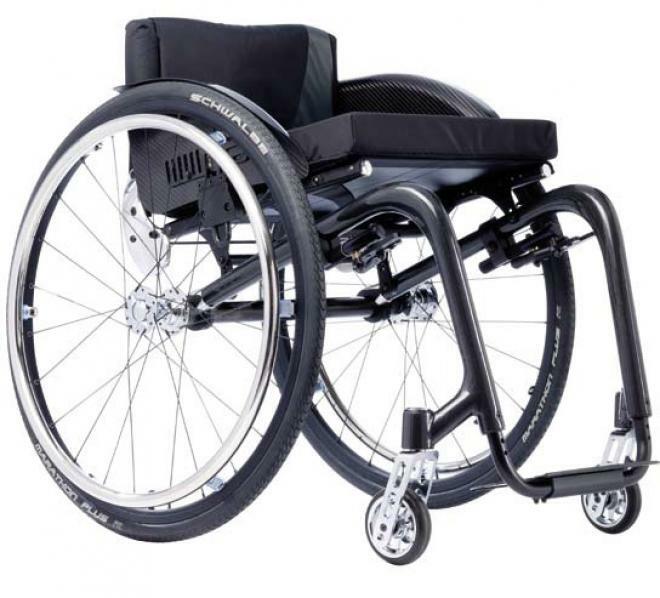 The küschall K-Series represents a break through in innovative wheelchair design, suitable for highly active people who demand aesthetic appeal together with exceptional strength and performance. Versatile and configurable to suit a wide range of personal requirements, the küschall K-Series is for anyone, of any age who demands effortless mobility combined with great style. The front frame is available set at either 75° or 90° and now the new ‘adduction' frame reduces the front chassis width by 10cm, compared to the seat width, providing even greater support and better mobility. The range comes with a diversity of frame extensions, with options that include footrests, backrests and hand-rims to name but a few of the possibilities that underline the ‘No Limits' approach to giving people options tailored to their needs. a new design for the backrest adjustment plates. Additional options to the range now include mobile phone holder and bottle holder. Designs include a ‘sandblasted' finish on the titanium frame, along with the resistant and rigid engineering of these chairs. 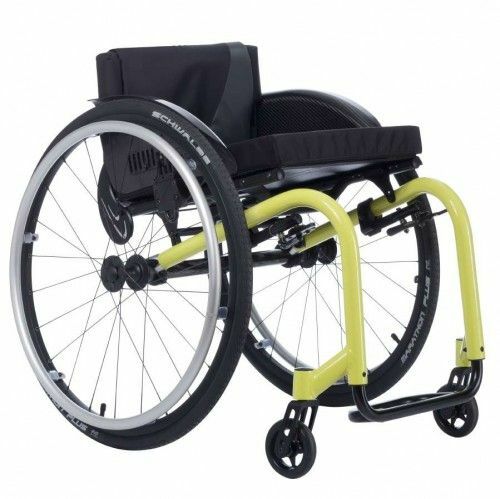 Add to this two new frame colours: ‘flashy yellow' and ‘terra magic' and a Colour Power Set (CPS) in chrome and this makes for a really different range of wheelchairs. durable, enables them to express their personality, navigating life with absolute confidence: the hallmark of küschal. Prices start from £1,698.00 depending on build specification. Call us on 01642 805050 to talk through the options and find the Küschall K-Series that's perfect for you.